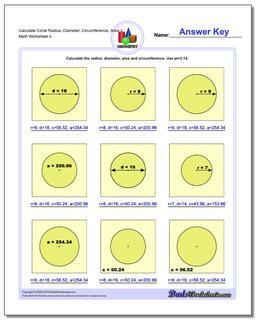 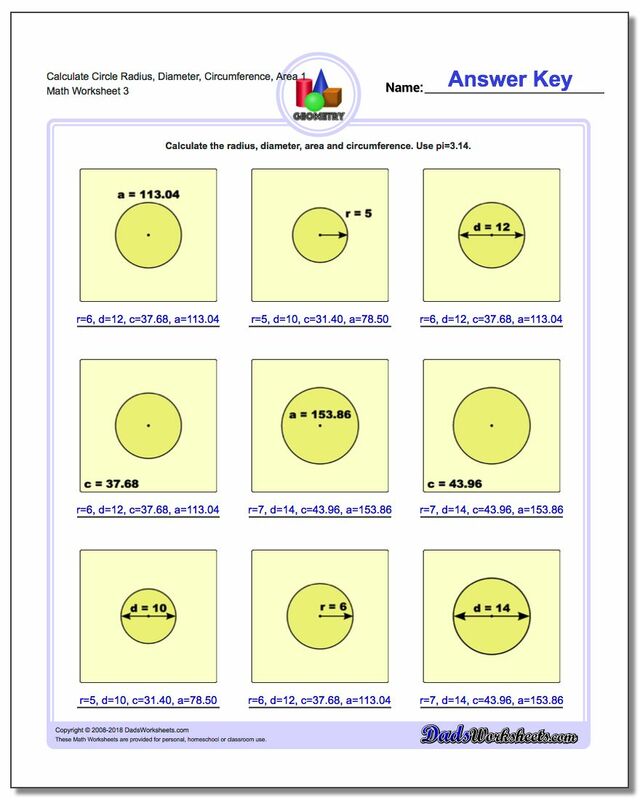 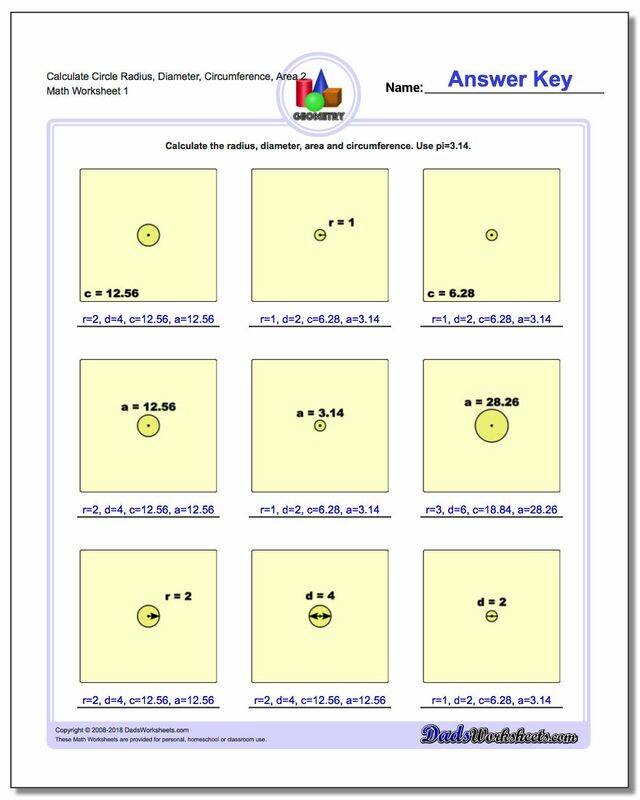 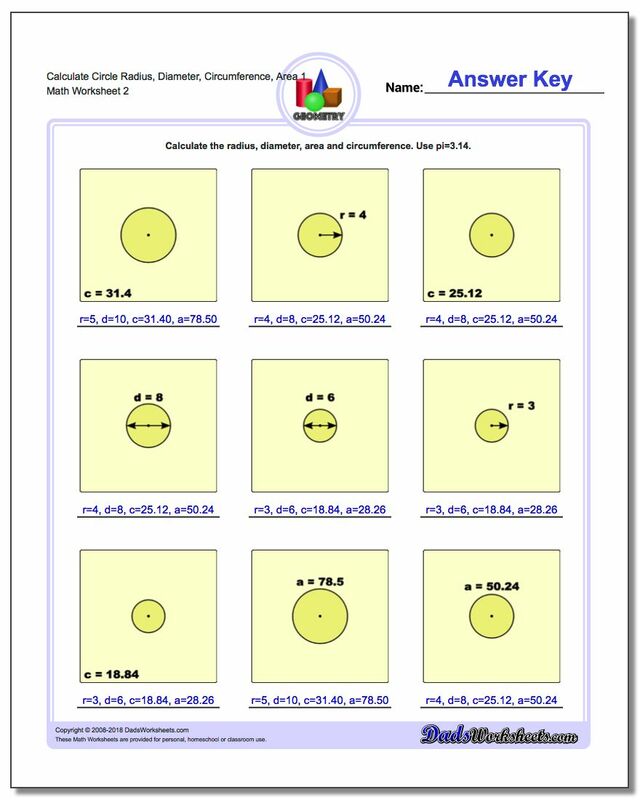 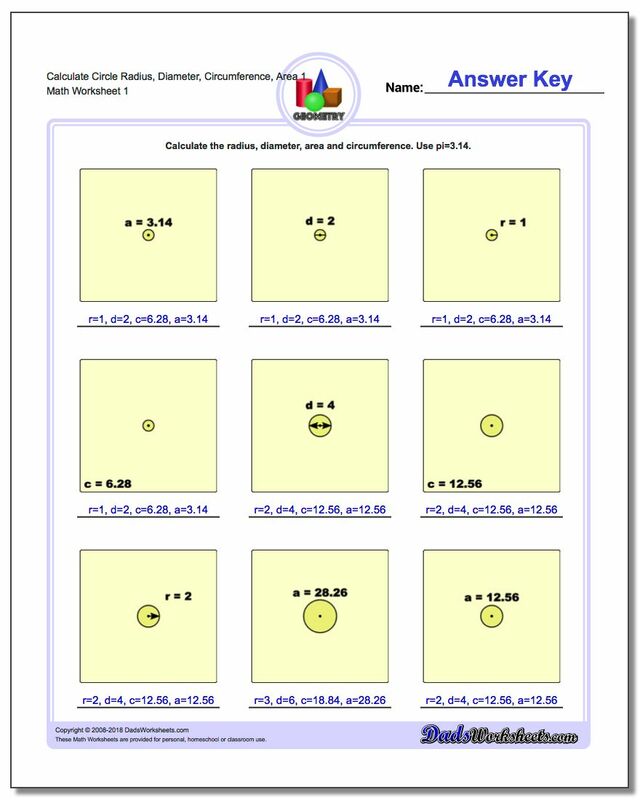 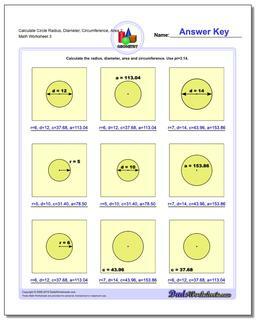 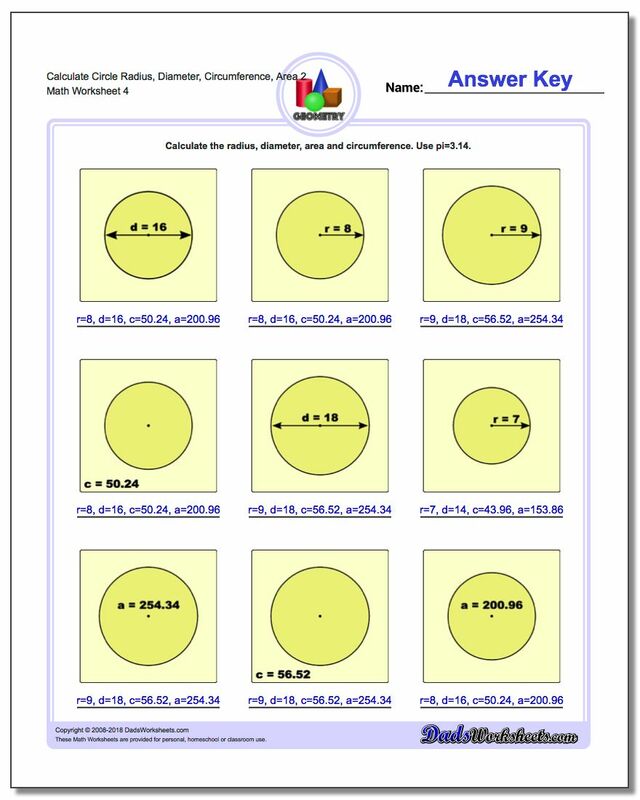 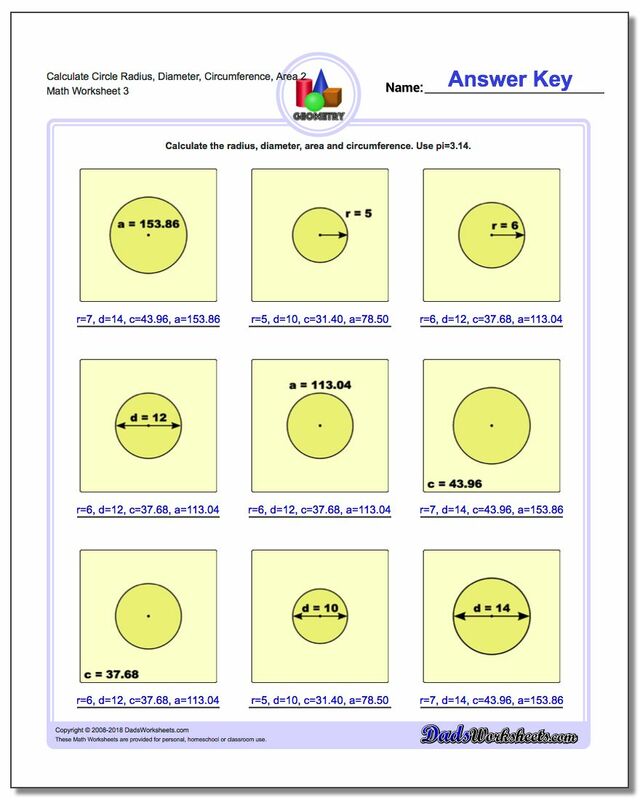 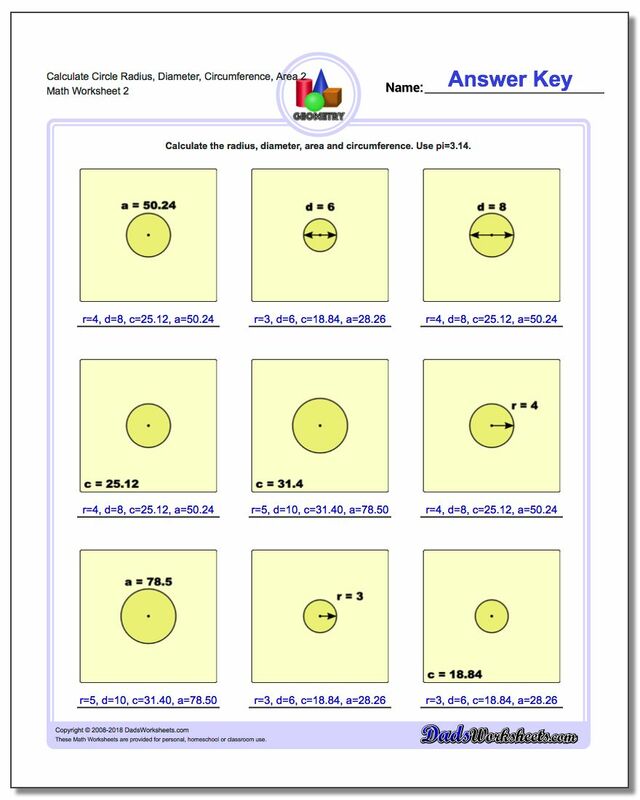 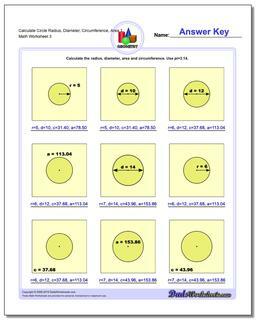 The circle worksheets in this section bring everything together, and each problem provides a single measurement (area, diameter, circumference or radius) and the student is tasked with calculating all of the remaining measurements of the circle. 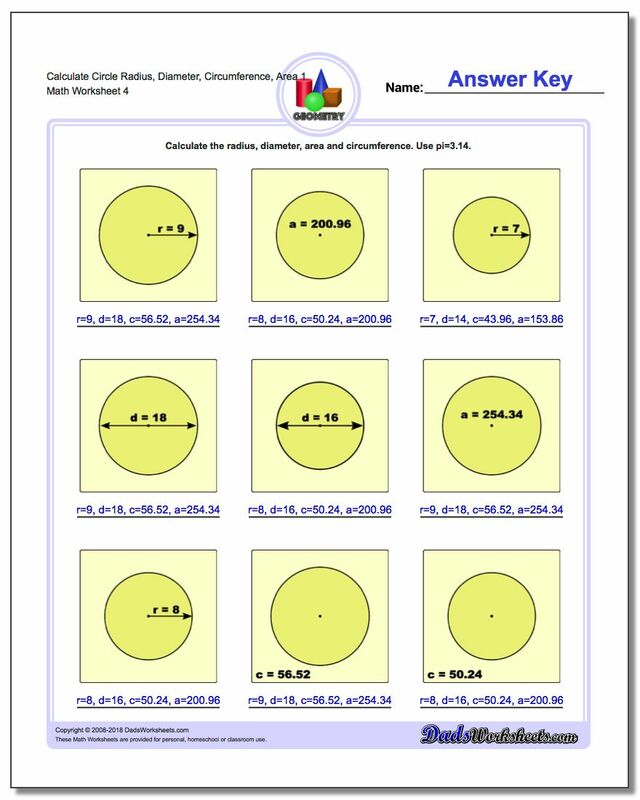 This requires complete mastery of the equations used to measure the area and circumference of a circle, including being able to work these equations 'backwards' to determine their inputs where appropriate. 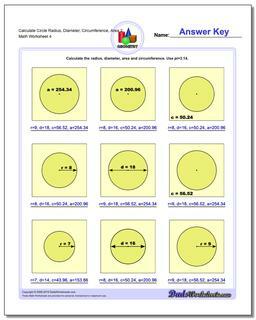 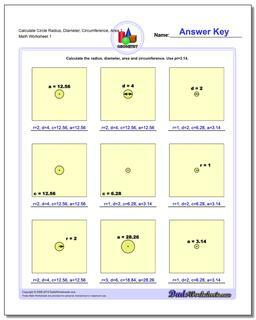 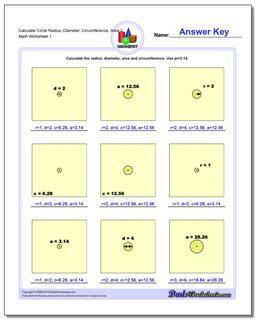 These are great capstone worksheets for a unit on circle geometry.